It’s 1:30PM, What Should You Being Doing Right Now? | ASTRALCOM - Content Strategy, Conversion Marketing and Customer Acquisition. To accomplish this, they said that they needed to, “know the right place and the right time to share” and now they want to share their findings and wisdom with the world. 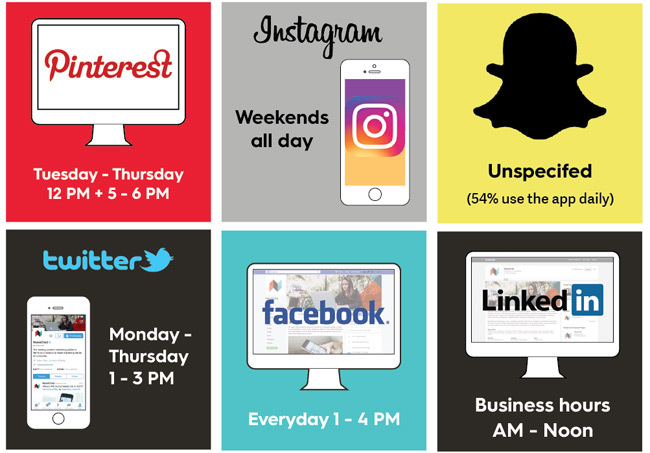 Checkout their posting time recommendations and compare then against the posting times and publishing schedule we created in our Content Marketing Primer. If you’ve already got enough to do without worrying about posting times, that means you need to contact us to help you. We’ll create killer content for your audience and post at the right times to engage them.